Based on the vision of a sustainable and resource-efficient future, clean technology is all about minimizing pollution and making the world’s infrastructure energy efficient. Renewable energy, sustainable chemistry, and recycling are just a handful of initiatives the sector focuses on. 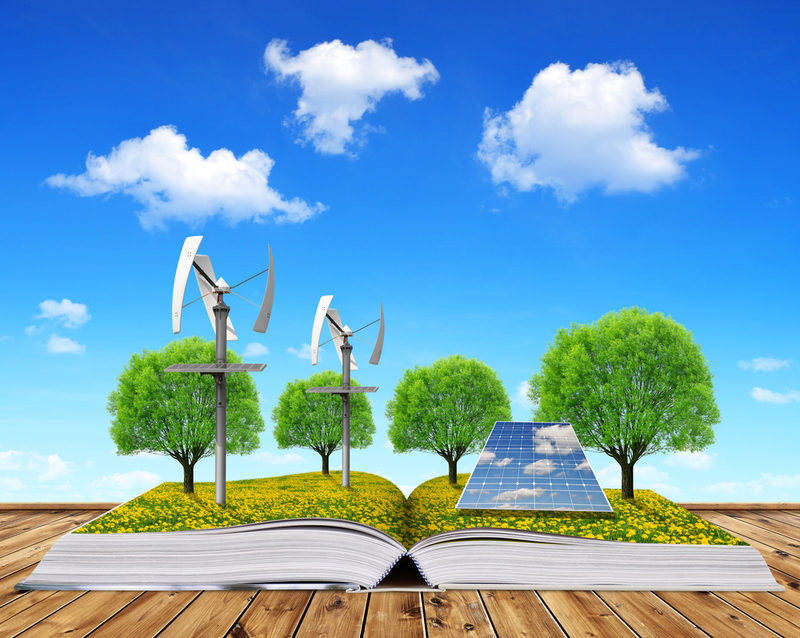 Last year, the Chinese cleantech market invested over $100 billion in cleantech initiatives. In Australia, cleantech stocks are consistently surpassing the wider market. It’s not just the Asia-Pacific region that’s getting into a tizzy over clean energy. In North America, Canadian businesses are pushing the government to invest in clean innovation and decrease their reliance on fossil fuels. And it’s certainly not only traditional industries moving towards greener pastures. Tech has wholeheartedly embraced a sustainable future and is consistently developing innovative projects to work towards that goal. If you’re on the lookout for a stylish solar power bank, check out Solartab. Its goal is to provide solar power to continually charge your devices so if you’d like, you can listen to some tunes on the go. It has a built-in cover that works as both a flexible stand to get maximum sunlight exposure, and as a protective suit so you don’t have to worry about it when you toss it in your bag. For homes and businesses, EcoPort is a Hong Kong-based startup with a mission to make recycling better. I, for one, am tired of my phone battery running out after lunch and I’m guessing that my colleague is not too keen on his electric car stopping in the middle of the country. One of the long-standing issues faced by sustainable energy has been storage and transportation – an issue that needs to be addressed in large part by battery technology. Based on research from Stanford, Cuberg is solving this problem with next generation lithium batteries – already dominating the competition and winning awards for cleantech and innovation. Contaminated water is one of the biggest environmental challenges we face that impacts habitats and public health. H2nanO believes a sustainable future is one with clean water. It’s contributing to this with nanotechnology to change the treatment of contaminated water with a reduced environmental footprint. By using solar power, toxic water is cleaned at a low cost. Mellow, a German company powered by boardsports enthusiasts and low-emissions, combines sustainability and the pursuit of the ‘endless ride’. Its flagship product is a mountable electric drive that will literally re-energize that ol’ skateboard hanging out at the back of your closet and turn it into a riding machine with top speeds of 40kph. Interested in more? Track tech news and companies at Index.co.